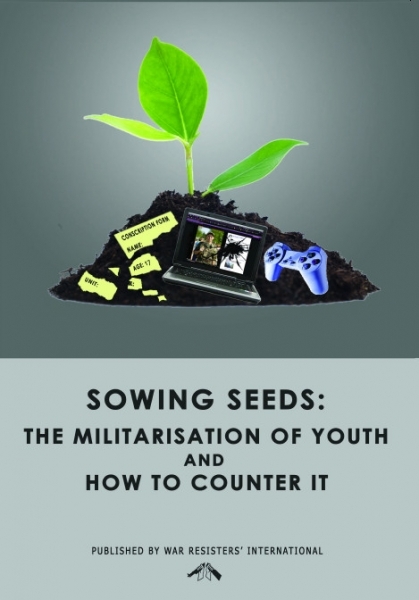 What is the militarisation of youth? From the moment we are born, in many cultures children and young people are exposed to the military and military values around them. We call this the militarisation of youth. Militarisation of young people goes far beyond overt recruitment from the armed forces. It includes the presence and influence of the armed forces in education, social media, public military events such as street parades and memorial, military-themed and violent video games and across many other forms of entertainment and fashion. This website is part of a project to identify and challenge the many ways in which young people around the world are encouraged to accept the military and military values as normal, and worthy of their uncritical support. For more info, visit About Us. Countering the Militarisation of Youth is a project of War Resisters' International.